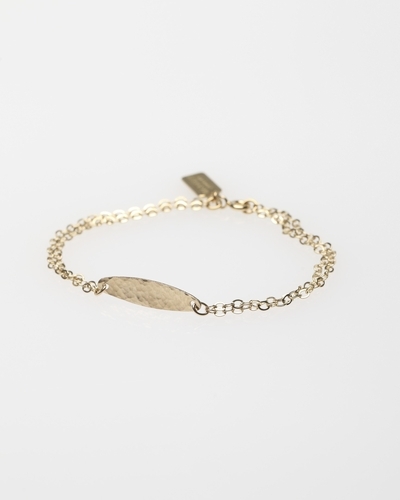 Hand hammered 14kt gold fill oval (1 inch long) strung between double lengths of 14kt gold filled chain. Bracelet length is about 7 inches. Length can be adjusted upon request.